Children with autism spectrum disorder may be at risk of nutritional deficiencies due to their restricted diet. Jasly Koo, Dietitian, from the Nutrition and Dietetics Department at KK Women’s and Children’s Hospital, shares tips on feeding them well. ​have more feeding problems and they also eat a significantly narrower range of foods. There is anecdotal evidence regarding the association between dietary changes and improvement in behaviour, communication and learning in children with autism spectrum disorder. However, there is a lack of quality evidence to make recommendations for any particular diet to treat autism spectrum disorder. 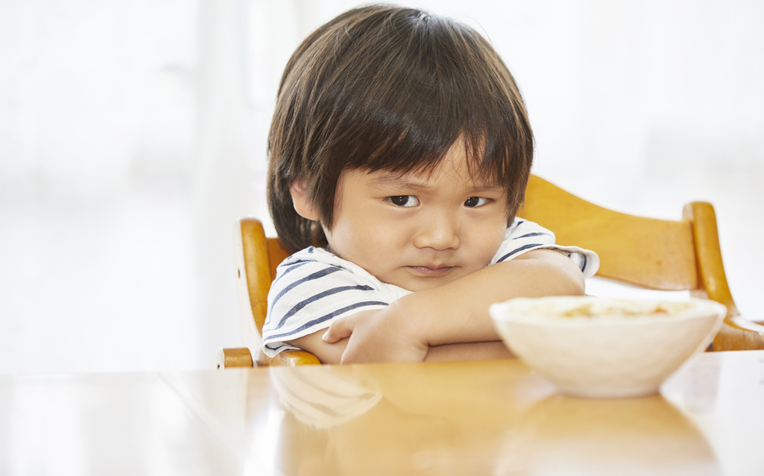 Nevertheless, studies have shown that more than half of the children with autism spectrum disorder have more feeding problems compared to children without autism. Feeding problems may present later, at around 2 years of age, when the child’s feeding style changes. They also eat a significantly narrower range of foods. This can include specific preferences for texture, temperature, colour and smell of foods as well as the mealtime environment, resulting in distress at trying new foods. Children with autism spectrum disorder often have preference for crunchy foods and refuse soft, mushy, sticky and chewy foods. “Although most children with autism spectrum disorder may be of normal weight and height, their restricted diets put them at risk of nutritional deficiencies,” says Jasly Koo, Dietitian, from the Nutrition and Dietetics Department at KK Women’s and Children’s Hospital, a member of the SingHealth group. Hence, parents should seek advice promptly from a multidisciplinary feeding team including the speech language therapist, occupational therapist and dietitian if they notice feeding problems, and not wait till their child’s growth falters. Common diets advocated to manage autism spectrum disorder are listed below. If parents wish to start their child on any of the diets below, this should be done in consultation with the doctor and dietitian to ensure that the diet is nutritionally adequate to support the child’s optimal growth and development. The diet should only be trialled for a definite period of time, with an independent assessor for improvements in behaviour, communication and learning (e.g. for 3 months with the child’s teacher as an independent assessor) after which the diet should be discontinued if there are no significant improvements. The gluten-free, casein-free diet is not a medically proven diet therapy for children with autism spectrum disorder. Restricting gluten and casein from a child’s diet can significantly affect the child's calcium, vitamin D and protein intakes, which can affect his or her physical and mental development, as well as bone health. they have problems with their immune system, resulting in allergic reactions to gluten and casein. For parents who wish to trial this diet, please consult with the doctor and dietitian before starting on it. Read on for more diet tips for children with autism spectrum disorder.